Beer O'Clock on Tour is returning for the first time in a couple of years. We're kicking off in Austia, a central European country with a proud beer drinking culture. 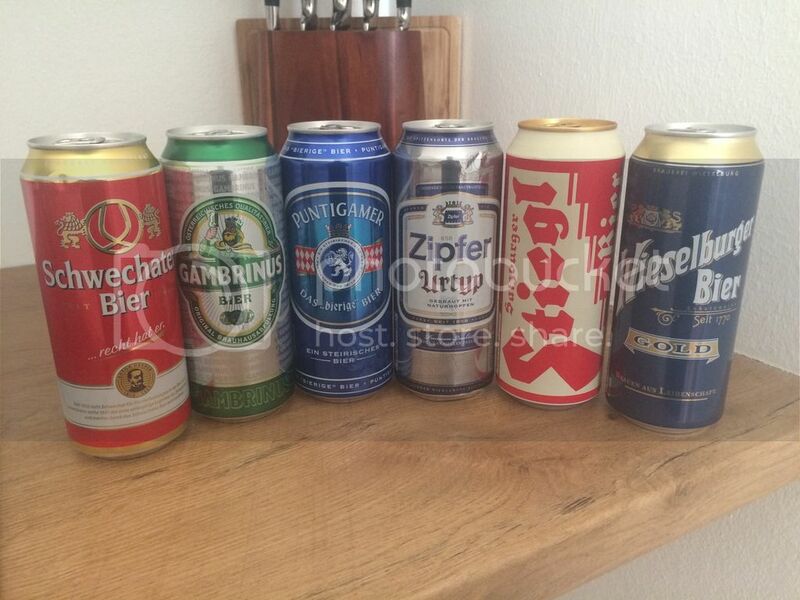 Very little of their beer makes Australian shores, with the main exception being the Stiegl range. Austria was our first port of call and we were subsequently pretty jet lagged. Our take home options were therefore limited to the supermarket. I ended up with 6 lagers, ranging from the Stiegl and the Puntigamer that I've heard of to the Schwechater Bier that I've never heard of. My is that I'll be able to supplement that with a microbrewery visit somewhere along the line. The first beer I had in Vienna was at a shop that sold only cake, champagne and beer. Wiener Original from Ottakringer was the beer and it was just about passable as a malt dominated lager. The Steigl Beer that I'd bought earlier that day was next and it was a better, crisper lager that I would be more likely to look for again. Next up was one that I'd never heard of before; Wieselburger Gold. This was a Helles Lager (like most of the Austrian lagers) and a perfectly acceptable one at that. This turned into a shower beer after a long day. A trip to the Schonburg Palace wouldn't be complete without an Austrian staple, Zipfer Urtyp. I had this lager sitting in the sun at about 11am, and whilst a little watery it was exactly what I felt like. 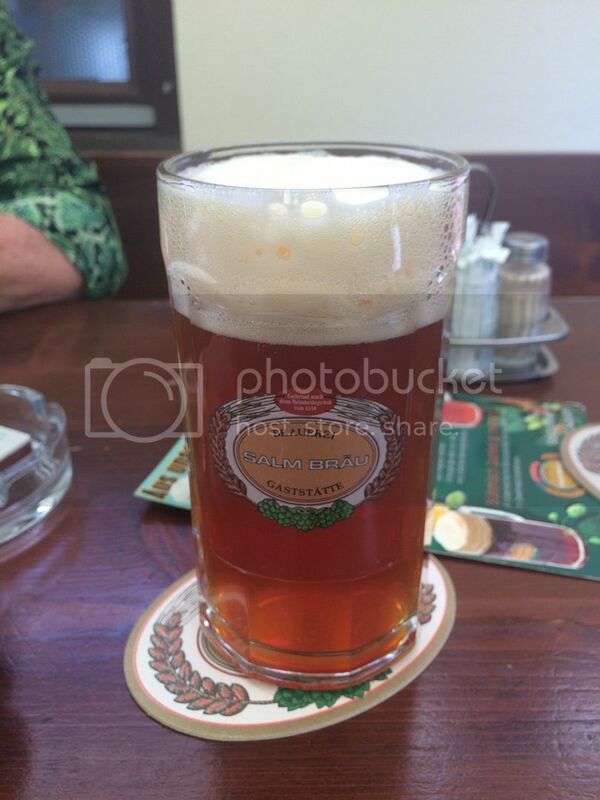 A Stiegl Weisse followed in the St. Stephen's Square that afternoon. This was a disappointment as I've had it before and enjoyed it, but this particular version was a little watered down with hints of banana and almost no cloves. A Trumer Pils, a favourite of mine, was next at the Belvedere Palace. Before a trip to the first of two breweries. First was Salm Brau, located at the base of the Lower Belvedere. The majority of the venue is taken up by a beer garden, which was perfect on the day we went!! 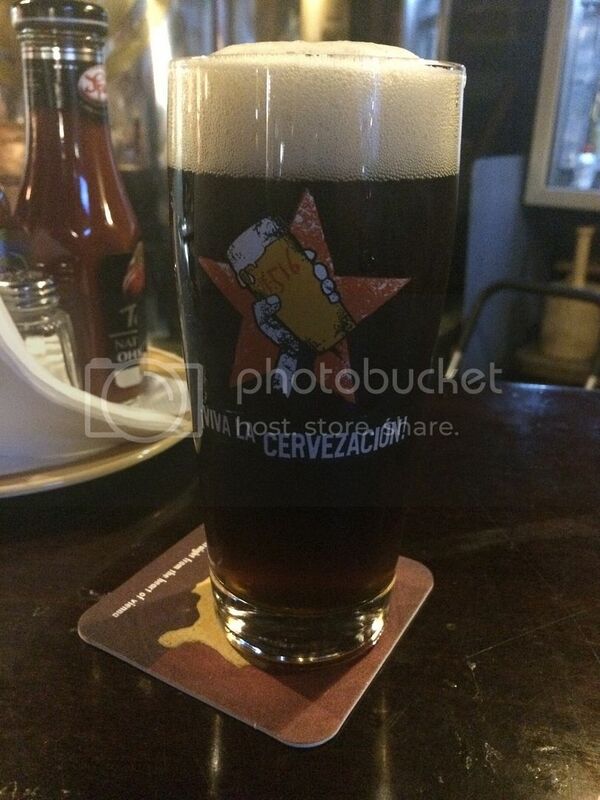 The food was excellent, as were the two beer's I tried; the Marzen and the Bohmish G'mischt (Bohemian mixed dark). Both were easy drinking beers which I would certainly have again if the conditions were replicated. It was at this point I realised I wouldn't get through all the supermarket beers I'd bought if I had the conventionally. I decided to sample approx 150ml of each, pick my favourite, drink that and pour the rest out. Zipfer Urtyp was first up and was much better in the can, tasting like a crisp lager and proving to be the overall winner eventually. Schwechater Bier came and went and was very yeasty and not enjoyable. 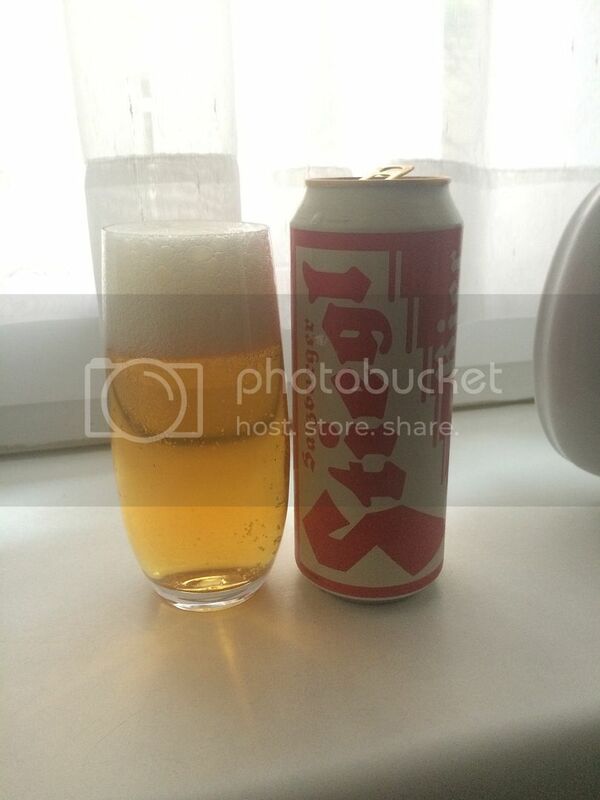 Whilst Puntigamer, a beer I have a lovely mug of back home, proved itself to be a perfectly drinkable lager if not particularly distinguished. The last of these beers was the Austrian Gambrinus, given it's Czech namesake I had high hopes. They were dashed almost as soon as I cracked the can. It was distgustingly sweet and I barely would have drunk a third of my 150ml serve before turfing it. My final beer related stop in Vienna was 1516 The Brewing Company. Walking up to the venue I was shocked by it's size, it's enormous! Spread over two level and with a huge outdoor area out the front, packed full of locals. The taplist was relatively traditional, with the real surprise being the Victory Hop Devil IPA - which is apparently now brewed by 1516 in Austria! The other beers from their range that I sampled included a nice crisp unfiltered lager, a Weisse that was very very drinkable, a wonderfully roasty Dunkel and a Grapefruit Summer Wit. They were all actually very good with the Victory/1516 Hop Devil and the Bavarian Dunkles the standouts. The Grapefruit Summer Wit was a trial brew which was a little lacking in grapefruit and body, but had the Belgian yeast of the wit downpat. Try the food at 1516 if you get there, it's really good!